Burnaby’s Global Dignity Day – Making sense of an interconnected world. Together. Byrne Creek Secondary School students will be participating in the 7th Annual Dignity Day on Wednesday, October 15th, 2014. At 9:00am, Burnaby will connect to other schools and sites across Canada via videoconference. Senator Yonah Martin will be one of the distinguished speakers at the event. The agenda will include a powerful keynote speaker, followed by working groups at each site who will be discussing their own stories of dignity. The finale of the morning will include one shared story from each site. 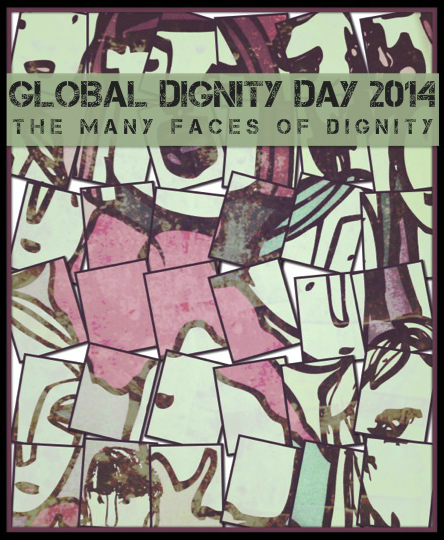 The theme of the 2014 event is “The Many Faces of Dignity”. Thanks to the efforts of Ms. I. Hayer, Community Schools Coordinator at Byrne Creek Secondary, students will be taking part in this great opportunity to boost the spirits of so many including themselves. Global Dignity Day was started in 2005 by the crown prince of Norway with the goal of implementing the universal right of every human to lead a dignified life. Read more about this year’s Global Dignity Day.